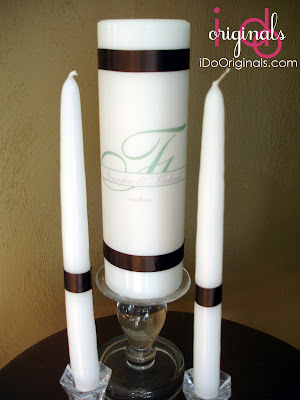 Did you know that the unity candle is a fairly new tradition? According to Wikipedia "In July of 1978, a young Catholic woman and young Jewish man were married in the chapel at the Huntington Town House in New York. Both a priest and a rabbi officiated the ceremony. In conversation with the priest, to prepare for the "Interfaith Wedding", the young woman, had a symbolic idea. 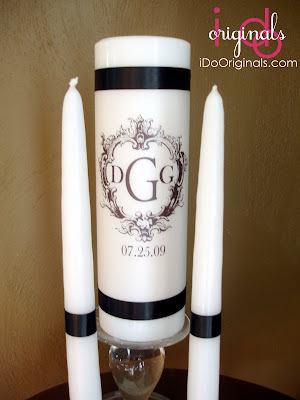 That each of them, the bride and groom, would take a lit candle and together they would light a large candle. The priest said that this had 'not' been done during a wedding before. 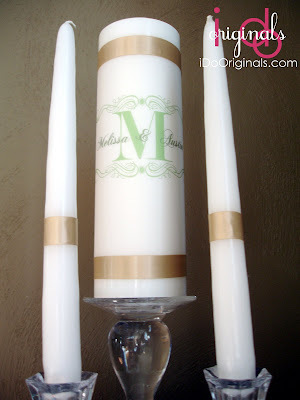 He was open-minded and suggested the use of the largest 'alter candle' (it may be called the 'Peace' or the Pentecostal candle). As stated above, the symbolic gesture was the joining of two individuals and their commitment to continue as one. 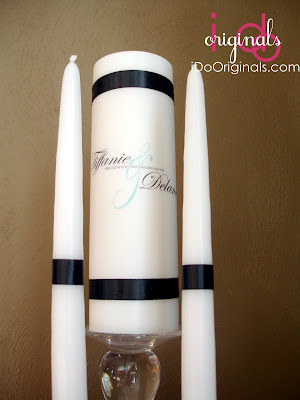 Two small flames will make one 'stronger' flame." Side Note: Our new assistant worked it out yesterday and created all these incredible candles, didn't she do a fabulous job?